Nobody expects their spouse to die suddenly. I didn’t either. This is why life insurance for your spouse is so important – even if he or she is not working. Don’t make the same mistake that we made about life insurance. A few years ago my wife passed away suddenly from a brain aneurysm. She was only 54. There was no warning. She had no symptoms and there were no signs that a bubble was growing in her brain. She was a relatively healthy woman. Yeah, maybe she had slightly elevated cholesterol and a slight headache from time to time but nothing a prescription of Lipitor and a dose of Advil couldn’t handle. My wife didn’t have a life insurance policy. 8 years ago my wife was diagnosed with Hepatitis C. She underwent an experimental treatment and was cured! When we applied for life insurance, the insurance companies did not care that she was cured. They just cared that she once had a major disease. The premiums for my wife’s policy were astronomical. So we put off buying a policy for later. But later never came. My wife was in the hospital for 2 weeks in a coma and never woke up. Finally, after 2 weeks, her brain just gave up. I spent every day in the hospital holding her hand and the thought of her not coming home, never crossed my mind. But she never did come home. Financially, we were doing well and I wasn’t worried about money, until the bills came. My wife’s funeral, burial, footstone and other expenses came to over $20,000. Payment required immediately – in full. She was in intensive care in a private room for 2 weeks. We had medical insurance but every new life saving procedure, triggered a new deductible – $10,000 deductible bill. The insurance company felt some of her life saving procedures were unnecessary and they didn’t want to pay for them. I complained and I begged. “Unnecessary? Are you kidding me? This is my wife’s life we’re talking about!” I approved every procedure the doctors recommended to try and save her life. But the insurance company rejected coverage and refused to pay for any “unnecessary procedures” performed to save my wife’s life, so the hospital sent me the bills. Every day that I walked out to our mail box I trembled with fear knowing there was another bill that I would have to pay. Thousands and thousands of dollars of medical bills came in over the course of 6 months. If my wife had a life insurance policy, all of these bills would have been paid by the insurance proceeds. It would have really helped and I wouldn’t have had to take money out of our savings or retirement accounts. Looking back, we were dumb. We should have bought a policy. Please don’t make this same mistake. Getting a life insurance policy for your spouse or partner is probably one of the most important purchases you will ever make in your life. A policy not only replaces the income of a working spouse but also provides cash flow to cover household expenses to build a secure future. Some folks believe, life insurance is only important for the person who provides an income. But it’s not. A policy is just as important for a non-working spouse or homemaker to help cover expenses for childcare, rent or mortgage payments, real estate taxes, groceries, utilities, transportation and the list goes on. My wife was a stay-at-home mom and no price tag could be put on the value of her taking care of our home and our children. When you lose a spouse, the last thing you are thinking about is paying the bills. You are emotionally devastated and grief stricken with your loss. In time, your heart will probably heal, but the bills will never stop coming. Term life is the most affordable way to provide coverage for your spouse. It’s very inexpensive and insures your spouse for a specific time period. Policy types available are 10,15,20,25 and 30-year term insurance. 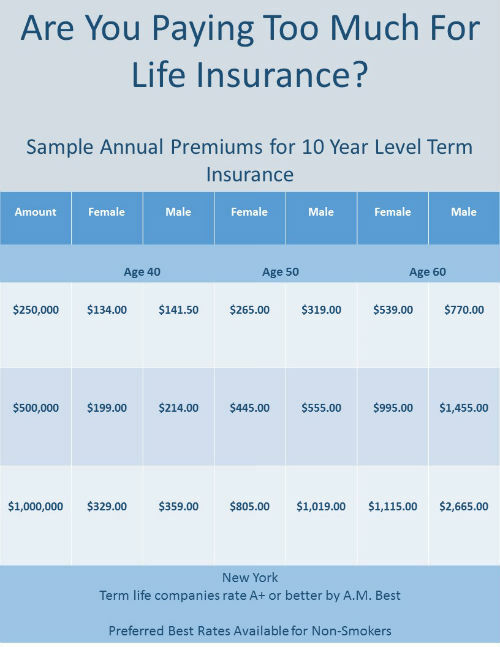 Term insurance is temporary coverage and the premium or cost is level throughout the term. However, once the term is over, the coverage ends. There are some term policies that allow you to renew after the initial term, but at a much higher cost. This feature could be helpful for people who have serious health issues where qualifying for new coverage is not an option. 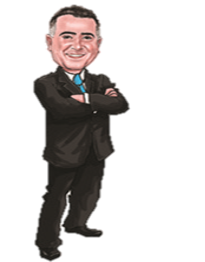 To many insurance agents, selling you the policy is the most important part of insurance planning but setting up the policy the right way is secondary. Wrong! The beneficiary page in your policy is the most important part of your policy and getting this step wrong could cost you dearly. Your spouse, your partner or your significant other, should be named the direct beneficiary of your policy. No if’s ands or buts. This most important page, tells the insurance company who to send the money to when you die. Your beneficiary needs to be a living, breathing person. (Except for estate planning but we will get into this at another time). The beneficiary page trumps any Will. If your insurance agent or attorney advises you to put “As per Will” as your beneficiary, DONT DO It! If you follow this bad and lazy advice, the insurance company will send the proceeds to your estate and the money will end up in Probate. You will not have access to the insurance proceeds until Probate is settled, which could take 9 months, a year or even longer. What If My Spouse Doesn’t Qualify For Coverage? Sorry, I can’t let you off the hook here – it’s too important. If your spouse has serious health issues is overweight or smokes and you’ve tried to get a policy only to find out it was too expensive or your spouse was declined, there is another option to consider. Many companies offer group supplemental life insurance to their employees as part of their benefit package. If you’re lucky enough to have this type of coverage, you can purchase supplemental coverage for your spouse through your employer. Most coverage for employees is limited to 1 X their salary up to a maximum of $100,000. For a spouse, you can usually purchase additional coverage of 50% of your maximum amount or sometimes less. Coverage limits will vary based on the program your company provides so check with your human resources department. Supplemental life insurance or group life insurance is term insurance and the cost is pennies on the dollar. There is no medical exam required or health history questions to answer. You simply request coverage for your spouse and the cost is deducted from your paycheck each pay period. Life insurance with no medical exam does not require a medical exam. There is no need for a strange person to come to your home or office and perform an exam or ask you medical questions. There are no needles, no blood work and no poking through your private medical records. However, there still is an application to fill out where you will have to tell the insurance company about your health history. A non medical exam policy could be appropriate for your spouse if he or she has had trouble getting approved due to serious health issues. Some policies are guaranteed issue so expect lower coverage amounts. This entry was posted in Spouse. Bookmark the permalink.